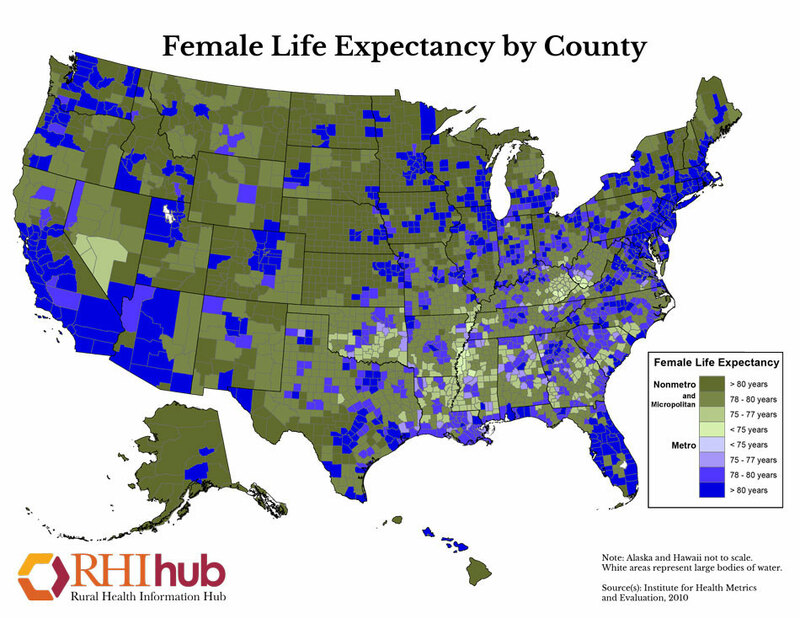 Printable map that shows the life expectancy of females nationwide by county. Data source: Institute for Health Metrics and Evaluation (IHME), 2010. 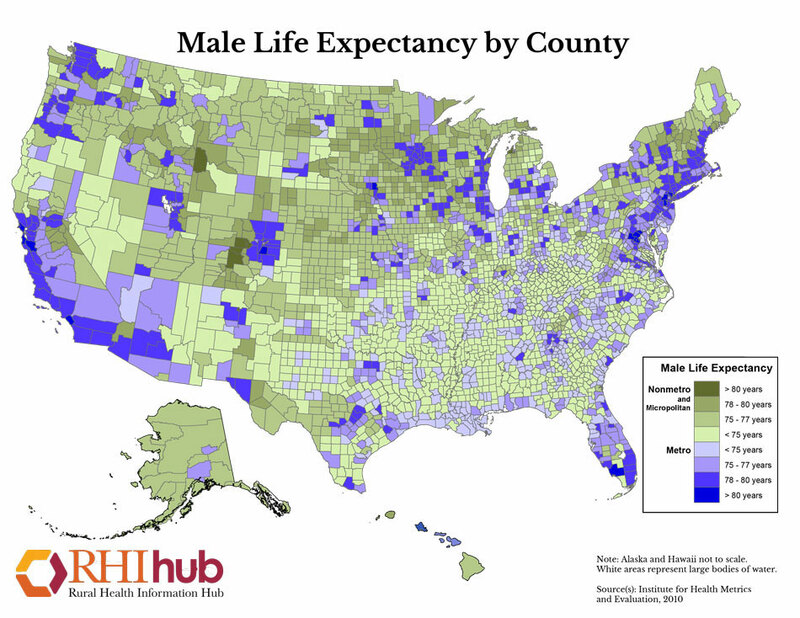 Printable map that shows the life expectancy of males nationwide by county. Data source: Institute for Health Metrics and Evaluation (IHME), 2010. Printable map that shows the percent of population with disabilities nationwide by county. Data source: U.S. Census Bureau, American Community Survey (ACS) 5-Year Estimates, 2013-2017. Printable map that shows the teen birth rate per 1,000 females, age 15 to 19 nationwide by county. Data source: County Health Ranking & Roadmaps, University of Wisconsin Population Health Institute, 2016.